Haq was born in Brahmanbaria. His father was a Deputy Collector of Sylhet district. For that reason, Haq spent a major part of his childhood there. He completed his Bachelor of Architecture from National College of Arts, Lahore, Pakistan in 1964, and received his Master of Architecture from the University of New Mexico, USA, in 1975. The noted Bangladeshi- American engineer Fazlur Rahman Khan, partner in the prestigious consulting firm SOM, advised Haq to stay in the US and join SOM. But Haq returned to Bangladesh and established Bashirul Haq & Associates in 1977 and started his own practice. In the 45 years of his professional career Haq has designed over 300 buildings. He admits that, at his young age, the works of Alvar Aalto and Aldo Rossi inspired him most. Haq’s architectural style is celebrated for holding on to cultural roots, respecting local context, urban sustainability and the use of natural light and air. His designed buildings are characterized by extensive use of tactile materials such as handmade brick, rough concrete and natural wood. The award-giving ceremony will take place on the 28th of March at 18:00 in Chhayanaut Auditorium. 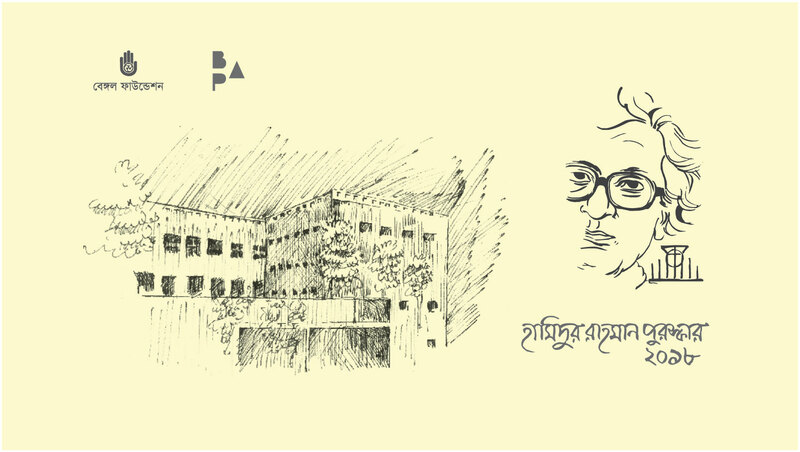 Renowned artist Monirul Islam, Architect Nahas Khalil and former ambassador Mohammad Kamaluddin will be present at the event. The event is open for and you are invited.